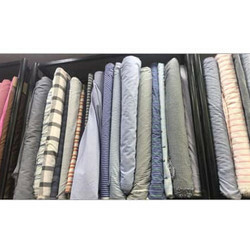 We offer superior quality Yarn Dyed Stripe Fabrics which are available in different colors and sizes. These yarn dyed stripe fabrics are soft and highly absorbent making them perfect for domestic usage. 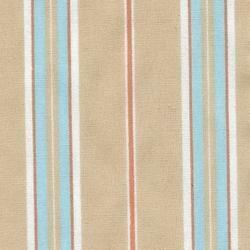 These yarn dyed stripe fabrics are manufactured from superior quality cotton and polyester yarns. We offer extensive range of Yarn Dyed Stripe Fabric for Imports, Exports and Indian Market. The impeccable finish, great feel and colors make our fabrics the preferred choice for customers. We do Customized designs as well. We take pride in announcing ourselves as reckoned name, involved in providing Yarn Dyed Stripe Fabric. Matching with the customer’s requirements, we offer extensive range of Viscose Stripe Jersey Fabric. Our product is highly recommended amongst the customers for their high grade quality. We offer Fabric to our clients in various designs and colors. Besides these, our Fabric is trendy too. Enriched with years of experience in the industry, we are engaged in offering Yarn Dyed Striped Fabric. We are a leading manufacturer and supplier of Yarn Dyed Stripes.